This year, there were 9 scientific works on the whole in the competition. Among them, there were 02 second prizes (No first prize), valued at 10 million dong each; 04 third prizes, valued at 4 million dong each and 03 consolation prizes, 1 million dong each. 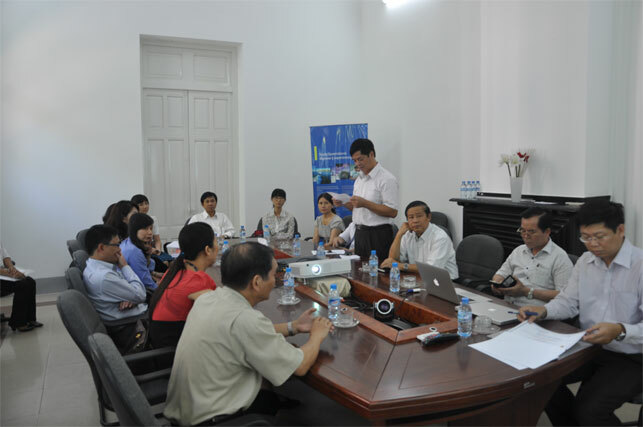 On June 18, 2014, Hue University held a ceremony to close the 2013 Innovation competition and offer prizes. Assoc. 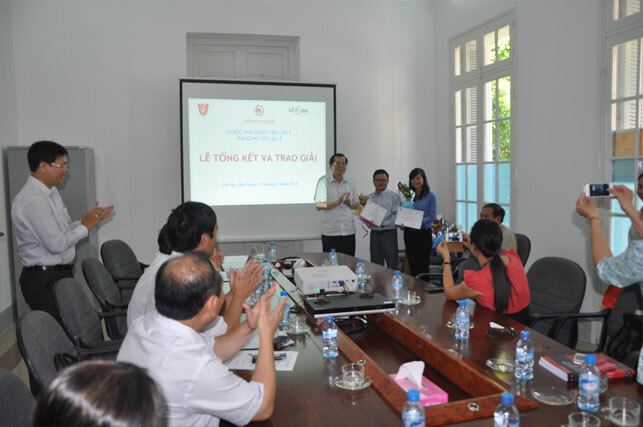 Prof. Nguyen Van Toan, President of Hue University attended and offered the prizes of the competition. The Innovation competition is one of the activities of Project 1 (Institutional strengthening) in the program of institutional university cooperation between Hue University and universities in Flanders, the Kingdom of Belgium (VLIR-IUC Hue University). The Competition has been held annually within 6 years from 2013 to 2018 with different themes. Aiming to discover and praise collectives and individuals who are lectures, researchers of Hue University having results of high value science and technology; encourage activities of innovation in research and creativeness in universities; contribute to enhance research capacities of Hue University staff, the theme of the year 2013 was “Innovation in Science and Technology for research-based education”.